Soon after his arrival in India, the Dalai Lama set up the Tibetan Government in Exile in Dharamshala and re-established the approximately 80,000 Tibetan refugees who followed him into exile in agricultural settlements. With the assistance of the Indian government, he created a Tibetan educational system and an infrastucture of schools able to teach Tibetan children their language, as well as the history, religion, and culture of their country. Dharamsala also became the seat of the Tibetan Institute of Performing Arts and the Tibetan Medical Center. 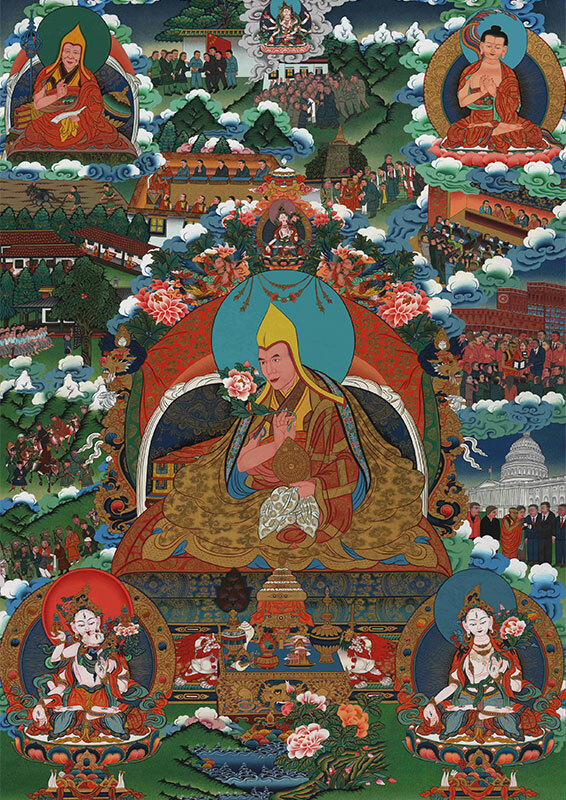 Over 200 monasteries and nunneries were reestablished in various parts of India in an attempt to preserve Tibetan Buddhist teachings and the Tibetan way of life. The Dalai Lama gives regular religious teachings in Dharamsala to Tibetan scholars as well as laymen, Tibetan and foreign. From 1979 onwards, he has travelled widely and gained international recognition for his stance on world peace and inter religious dialogue. In 1989, he was awarded the Nobel Peace Prize and in 2007, the Dalai Lama was a recipient of the Congressional Gold Medal, the highest civilian award bestowed by American lawmakers. In 1979 and 1980, four delegations sent by the Tibetan exile government travelled to Tibet and China in an effort to hold discussions on the future of Tibet. The delegations were received by an ecstatic Tibetan population, but were not continued. Though occasional talks continued over the years, they gradually came to a halt.